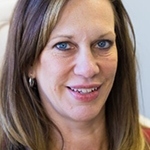 Motivated, diligent, empathetic Family Nurse Practitioner with 3 years family practice, Melanie began her career in health care over 20 years ago, graduating from Rivier College in Nashua, NH with an Associate’s Degree in Nursing. While attending nursing school, she was able to work and learn under the direction of a physician who practiced Homeopathic and Alternative medicine which has made an impact on how she provides patient care. In addition to her extensive clinical experience, Melanie also has a background and certification in Nursing Education, Hospice and Palliative care, and Integrative Medicine. For several years, she observed the effects of ‘treating the patient, not the numbers’ and how a holistic approach to patient care is critical in achieving wellness and physical and mental wellbeing. She believes that each patient is unique and requires care that is tailored to each individual need and that with regenerative care, the body’s natural ability to heal can be educed.